For the month of June, Australia’s leading speciality coffeehouse, Gloria Jean’s Coffee partnered with Variety – The Children’s Charity to help raise funds for children across Australia. This is the sixth year the coffee giant and the children’s charity have worked together to raise money for disadvantaged and sick children. The Cappuccino for a Cause campaign enabled guests to receive a free small Cappuccino from Gloria Jean’s coffee houses in exchange for a gold coin donation, with 100% of the donations going to Variety – The Children’s Charity. In addition to Gloria Jean’s coffee house donations, Polkadot PR created a customer activation event in Wynyard Park; a pop-up coffee shop. The colourful pop-up encouraged customers to donate and then post a picture on Instagram using #CappyHour. 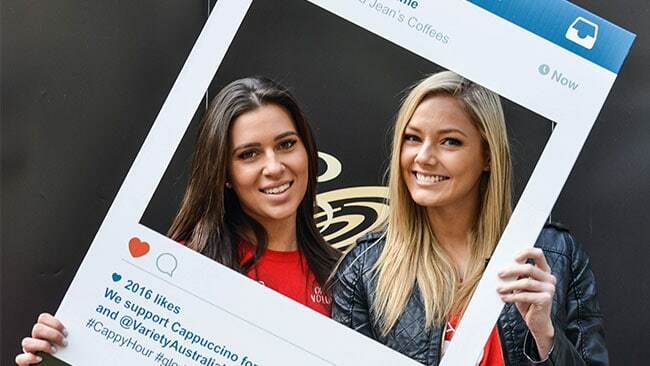 #CappyHour was created to encourage Gloria Jean’s Coffees’ guests to share their Cappy Hour experience on Instagram, which generated further awareness and fundraising of this worthy cause. 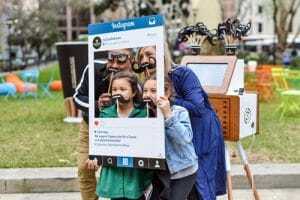 When the hashtag generates 10,000 unique images on Instagram, Gloria Jean’s Coffees’ not-for-profit foundation, With Heart, will donate an additional $10,000 to Variety – the Children’s Charity. The pop-up event ran all day capturing the morning rush to work, lunch crowds sitting in the sun and passers-by. 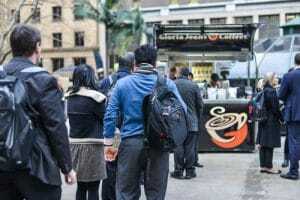 Customers could get any coffee they fancied in exchange for a gold coin donation at the two coffee stands available. 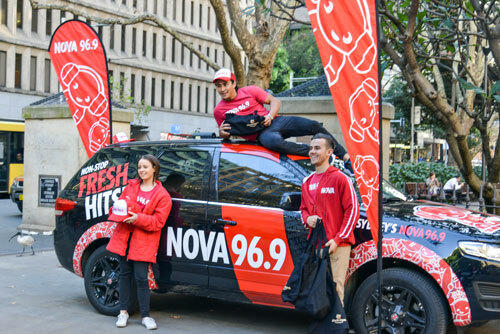 Around early afternoon Variety arrived with their mascot to encourage more donations while customers were grabbing a delicious afternoon coffee and as #CappyHour hit, Nova arrived to give out gifts, bringing a new buzz to the event. We are proud to have worked on this project and hope Variety can continue their extraordinary work supporting Australian children. The event sold over 2,000 coffees in aid of Variety. Thank you to everyone who helped us raise money for the fantastic charity.